In every issue of our journal, we will equip you with important tools to build and enliven your practice. For the massage practitioner especially in the current harsh economic environment, finding new clients — and sometimes even keep old ones — represents a challenge. In this part of our journal, we invite you to consider yet another valuable strategy for enlarging your client base — that of building professional relationships with local physicians. Many massage practitioners enjoy fruitful professional relationships with chiropractors, at the same time as medical doctors remain skeptical about the clinical benefits of alternative medicine, and of massage therapy in particular. If the idea of medical benefits of massage is more or less accepted by the medical community in cases of somatic rehabilitation, the idea of massage being an effective clinical tool for the treatment of inner organ disorders is still considered nonsense by many physicians. Yet, modern medical literature includes a significant body of scientific research which solidly justifies the application of massage as an important way for dealing with chronic pulmonary disorders. This body of knowledge is a golden tool for the practitioner in establishing and building professional relationships with medical doctors. Instead, the massage practitioner must use available medical information in the literature, and concepts rooted squarely within the science of massage in presenting the medical benefits of his or her work to physicians, and needs to call upon terminology and theories physicians are familiar with and understand. In view of this, we have composed for you several little brochures containing all the information needed to ensure that physicians will take an interest in your worthy, evidence-based work, and will understand and expect it to be of great potential benefit to their patients. In this issue, we will publish the brochure addressed to pulmonologists and family physicians who treat patients with chronic respiratory disorders. Print and bind several of these brochures. Take them to local physicians with the cover letter and your business card. Ask the medical assistant to give it to the doctor with an offer to meet with him at his request. Mark it on your day timer and after a week, call the office and request a meeting with the doctor regarding the brochure previously dropped off and the services you provide. When you do meet, keep in mind that selling yourself is the goal. Be timely and dress professionally. Link with his physiology as much as possible by modeling him – the way he breaths and holds his body, posture, facial expression, the nature and quality of his movements. Next, respectfully listen to his comments and questions and take notes on your tablet so that you can respond to all of his concerns. If you don’t know an answer, tell him that you will get back to him. It is an opportunity for you to contact him yet again and convince him to engage your services. Send him a note or email thanking him for the valuable time he spent with you. Why have we chosen for the first brochure to be for physicians treating chronic pulmonary disorders? Massage therapy has a most profound impact on patients with pulmonary disorders because the clinical picture, and the slow but steady progression of respiratory abnormalities, directly depend upon the somatic structures which constitute the engine of the respiratory system. Prolonged coughing (chronic bronchitis), difficult inhalation (bronchial asthma), or difficult exhalation (emphysema) all exhaust the respiratory muscles, and the resultant tension of these muscles is one of the factors which propels the respiratory abnormality forward. There are special medical massage methods and techniques which are designed for the treatment of chronic pulmonary disorders (e.g., Asymmetric Segment-Reflex Massage; techniques to enhance pulmonary drainage, stabilize the respiration; etc. ), but even regular therapeutic massage conducted on the thoracic cage, back and abdomen is of great value in the management of emphysema, bronchial asthma, or chronic bronchitis. You can learn the medical massage methods and techniques designed specifically for patients with pulmonary abnormalities in our special publication:Medical Massage, Volume II. Visit website www.aesculapbooks.com to order this textbook. However, even your basic skills, when applied in the correct order, are of invaluable help to patients with chronic pulmonary abnormalities. For these reasons, we have chosen pulmonary disorders as the subject of our first brochure, which you can use as a powerful tool to promote your services to your local physicians and to extend your practice in this new direction. There are two documents below. First is a sample letter we have prepared for you, to establish a professional relationship with local physicians. Of course, you may modify it in any way. Be sure to print it onto letterhead carrying the logo of your business or your contact information. The second document is a brochure which is intended to accompany the letter. It is ready to be printed, bound, and presented to physicians in your neighborhood. We have great stories of practitioners who were able to use this approach to build up a referral base of local physicians. Good luck! Please share with us and with our readers your success stories. 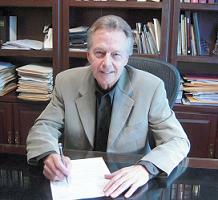 Clete Preuss is the owner and president of ROI Marketing & Consulting, based in Scottsdale, Arizona. The firm creates advertising, marketing and sales programs for a wide variety of clients, but specializes in national publicly-held companies. A winner of more than 100 national, regional and local advertising awards during his 30-year career, Preuss is also a lecturer and highly regarded marketing consultant.